While at the State Botanical Garden of Georgia yesterday, the sprinklers were watering the poppies. 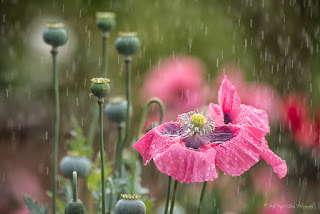 I waited for the perfect timing and photographed the water falling on the poppies. It made me think of a scriptural application. Trials and storms will come in our lives, the rain will fall, but if we are anchored to Jesus, He will see us through. "Come to me, all you who are weary and burdened, and I will give you rest. Take my yoke upon you and learn from me, for I am gentle and humble in heart, and you will find rest for your souls. For my yoke is easy and my burden is light." Matthew 11:28-30 NIV. While in El Paso, Texas, I also photographed birds through a bird hide in Franklin Mountains State Park. We actually got to talk to the guy who built the hide and takes care of feeding the birds. There are several feeders there and some sort of watering hole for the birds. 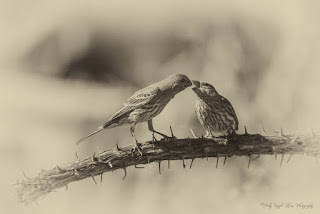 This particular bird picked a prickly place to feed its young! 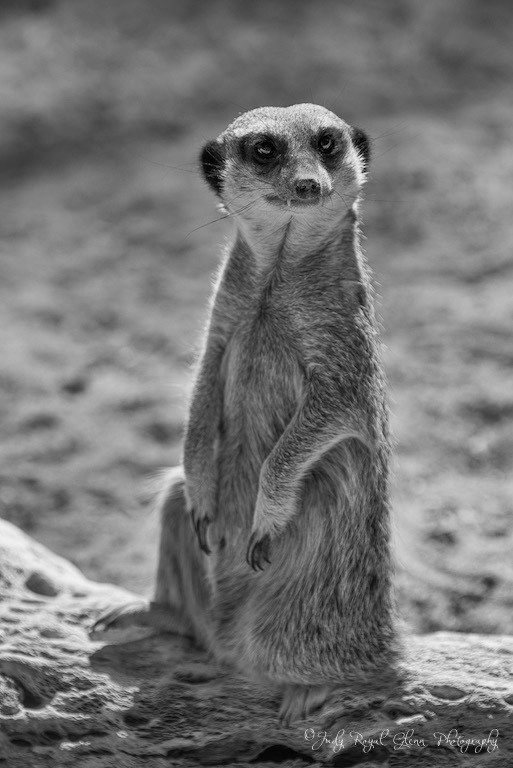 I decided to process the photo with an antique look. It's something I have never tried before. I even cropped the photo to the left because I did not like an object near the water. 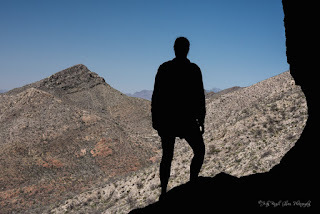 While in El Paso, Texas, we stopped at the Franklin Mountains State Park. Of course there are tons of cactus in Texas. 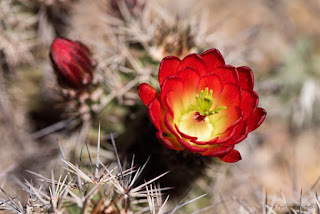 This is the flower of the Claret cup cactus. Meet Barley! He is part of an answer to prayer a few weeks ago. We travelled three days of eight plus hour trips to make it to Texas a few weeks ago. I wanted to photograph the blue bonnets while we where there. When I found a small patch on the side of the road, I told my husband I wanted to stop. He always is very tolerating of my craziness to suddenly stop so I can photograph something, but when I asked, he did not want to. We continued on our trip. He started feeling bad and asking the Lord to show him some flowers so I could photograph them. He found a patch on the side of the road, and we pulled over. A while later, a truck pulled up and the driver started talking to my husband. I stopped photographing the flowers to see what he was saying. 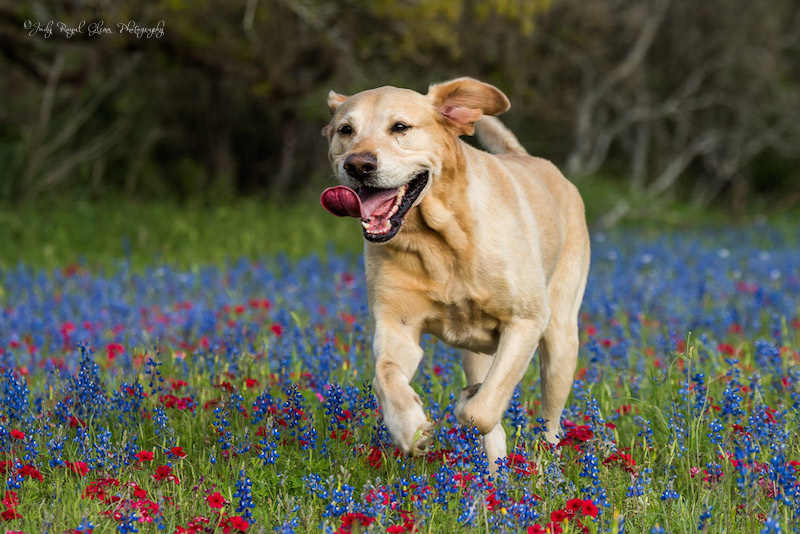 He said he had a whole field of blue bonnets on his property and ask if we were interested in photographing it. I could not believe what he was asking me. It was like I was in Heaven. The field was beautiful! I photographed their sweet son named Noah, Kimber, their three week old, and Barley, their lab met which met us when we arrived. It was like a dream come true! Not only did I get to photograph their beautiful field of blue bonnets, but I got the icing on the cake times three! We moved my daughter to Texas a few weeks ago to start her first job since graduation. I took this photo from an aztec cave in the Franklin Mountains State Park. I think it is symbolic of her looking out into her new environment, ready to conquer the world. 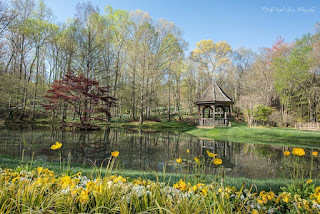 While at Gibbs Garden in Ball Ground, Georgia this weekend, I had an older couple stop and ask me if they could help while I was photographing a flower. 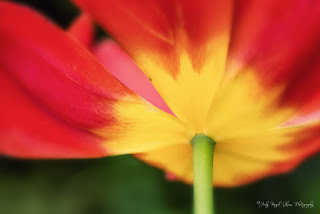 I held my translucent reflector over the tulip to block the harsh sunlight, used another hand to move the background flower out of the way while I pressed the shutter release. It must have looked comical. The couple stated they would have come to help earlier, but he fell asleep in a chair. 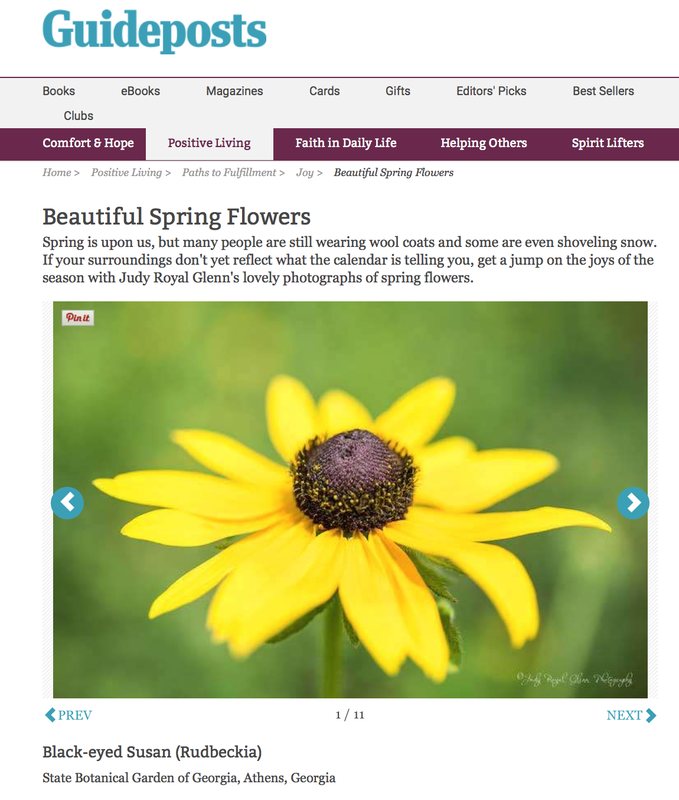 The man was intrigued as to why I would have photographed an ugly flower. I told him to come look through my camera because the flower was beautiful. I saw the beauty of the flower and envisioned the final outcome of the shot while he was just looking at the surface. On the surface, we may look different. We may have a few rough edges and aren't quite so polished, but if we have invited Christ in our hearts, there is something very beautiful we can show to others. "Guideposts 'Beautiful Spring Flowers' Slideshow"
I am honored and privileged once again to have my photography on Guideposts.org. 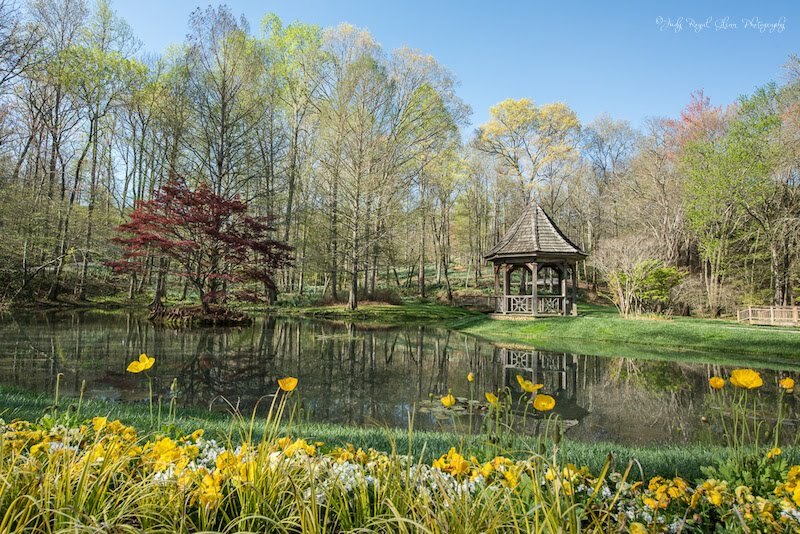 This slideshow showcases beautiful spring flowers mainly photographed at the State Botanical Garden of Georgia. The Garden is my second home! 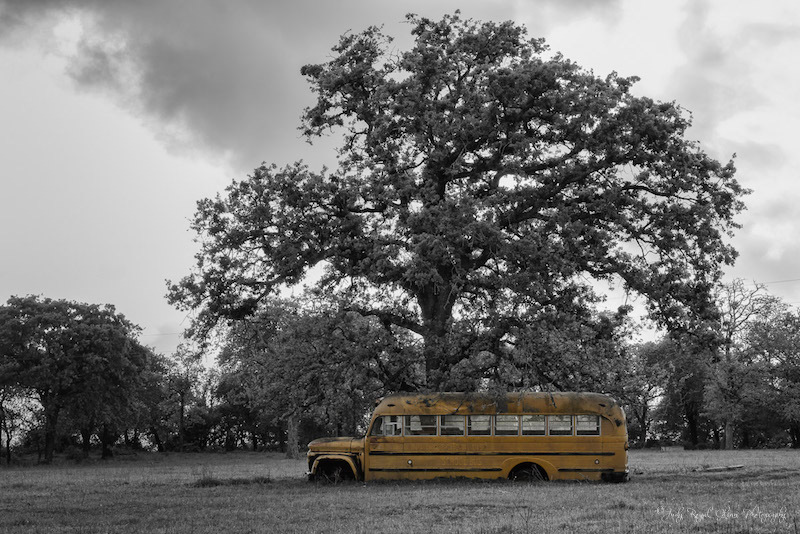 On my trip to Texas last week, we came across an old school bus out in the middle of a field under a tree. It was one of those images I knew I had to capture. 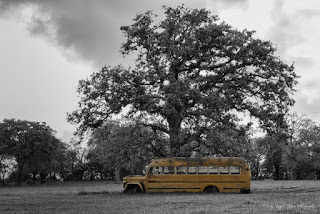 The bus had made one last stop.